Globally, patents on several well established biologic agents used to treat rheumatic diseases have already or will expire over the next few years, allowing for the availability of subsequent entry biologics (SEBs or biosimilars). 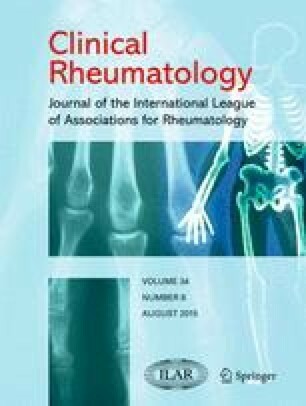 The objective of this study was to identify gaps in knowledge and attitudes towards SEBs among Canadian rheumatologists. Eighty-one rheumatologists completed the survey and were included in the analysis (22 % of the 369 who were contacted). We found that one third of physicians (31 %) were familiar with SEBs and that physicians with greater than 20 years of practice were significantly more likely to be familiar or very familiar with SEBs compared to respondents with less than 10 years or 10–20 years of experience (OR 11.1, 95 % CI: 2.1–55.5, p = 0.004 and OR 4.5, 95 % CI: 1.2–16.2, p = 0.023, respectively). A third (32 %) of physicians agreed or strongly agreed that they would be comfortable with indication extrapolation. Most respondents (88 %) would feel concerned or very concerned if a pharmacist had the ability to substitute a biologic drug for an SEB without the physician’s approval. This survey was the first study that evaluated the position of rheumatologists on key areas surrounding SEBs from a nationwide Canadian perspective. Current physician attitudes and perceptions of SEBs can inform future educational initiatives and highlight important issues for payers, policy makers, and other stakeholders. David Grabowski, Bradley Henderson, and Dennis Lam contributed to this work equally. The online version of this article (doi: 10.1007/s10067-014-2835-4) contains supplementary material, which is available to authorized users. We would like to thank all the physicians who took time to complete our survey and share their opinions, as well as the Canadian Rheumatology Association (CRA) for making this study possible. We would also like to thank Christine Charnock and Virginia Hopkins of the CRA for their continuous support in coordinating the survey during the launch, maintenance, and closure phases. This study was funded by MBiotech Innovation Bursaries awarded to Messrs. Grabowski, Henderson and Lam. The lottery incentive for the survey was provided by the CRA. Drs. Keystone, Thorne, Jamal, Pope, Haraoui, and Revers have received honoraria from the pharmaceutical industry in the past, but declare no conflict of interest in relation to the present study. Messrs. Grabowski, Henderson and Lam have been undertaking this research as part of their graduate training at the Institute of Management of Innovation, University of Toronto Mississauga. Messrs. Grabowski and Lam are currently employees of Boehringer Ingelheim and Janssen, respectively. Mr. Henderson was an employee of Amgen and Janssen during the study.